Though water buffaloes are an endangered species in Southeast Asia, they were in plentiful supply at the Skirball Cultural Center October 13, 2012, during a wildly successful evening of fund raising and fun hosted by Howie Mandel! The Water Buffalo Club (WBC) – a local service organization with the motto “Big Kids Helping Little Kids” – was raising funds for their mission of helping Los Angeles kids in need. Our own Rick Schenkel, a WBC member for over 20 years, was in the middle of it all – most notably as the evening’s auctioneer and emcee. One use of the funds raised that evening was for the WBC’s annual Thanksgiving giveaway. During that event, the WBC distributes turkey dinner baskets to feed over 3,000 people. They’ve done it every year for the past ten years. 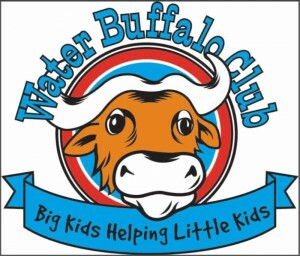 You can visit the WBC at waterbuffaloclub.com to learn more about their special events, the charities they support, and to see pictures of kids (some big, some little) having a great time. Previous: Life on Hollywood’s A-list! Twice!